The Bosch BAT415 battery offers single cell monitoring, which maximizes the performance of each individual cell for longer runtime. These low-resistance cells deliver the increased runtime versus standard 12V 2.0 Ah L-pack batteries. 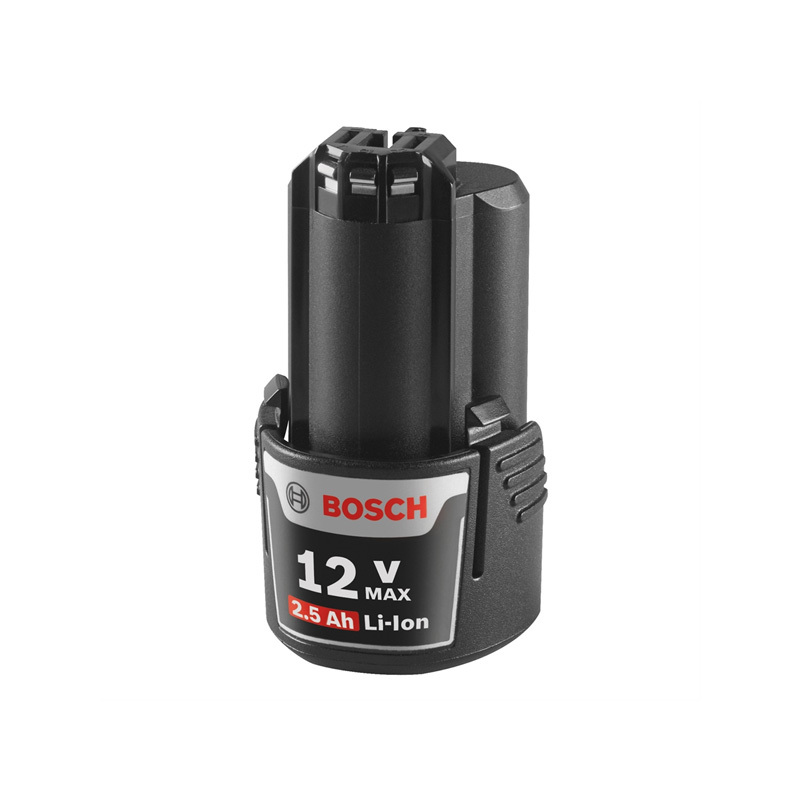 Bosch 12V batteries include Electronic Cell Protection, which guards against overheating and overloading. The boost in power with the Bosch BAT415 battery makes it comparable to 4.0 Ah batteries, but the BAT415 comes in at a significantly lower weight. At 0.4 lbs., it is about half the weight of the typical 4.0 Ah cell. It is the same weight as a 2.0 Ah battery, but with more runtime – 30 Watt hours – thanks to Bosch’s best-in-class engineering. Bosch was able to deliver more energy per cell without increasing overall battery size or shape with the BAT415. The added power for this battery still comes in the Bosch easy-to-use 12V cylinder battery design. 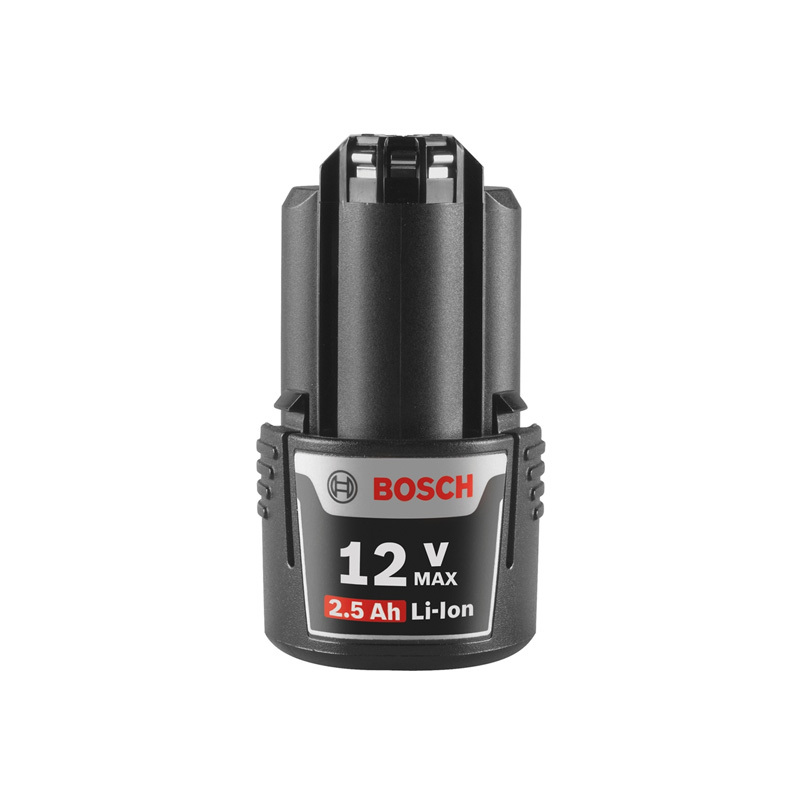 The Bosch 12V Max system offers compatibility with the complete line of Bosch 12V cordless power tools and chargers. Since the Bosch BAT415 provides more energy and increased efficiency at the same weight as a 2.0 Ah cell, it makes it ideal for trades where over-the-head work is abundant. Target applications for 12V tools using the Bosch BAT415 battery pack include sawing, cutting, sanding, drilling and driving. And it can withstand cold jobsite conditions, down to -4° F.